The last couple of weeks has seen America get very vocal about the use of the Confederate flag. Apple’s response to this was banning any game on the app store that uses the flag, and among the pulled games was Ultimate General: Gettysburg, which uses the flag in historical context. 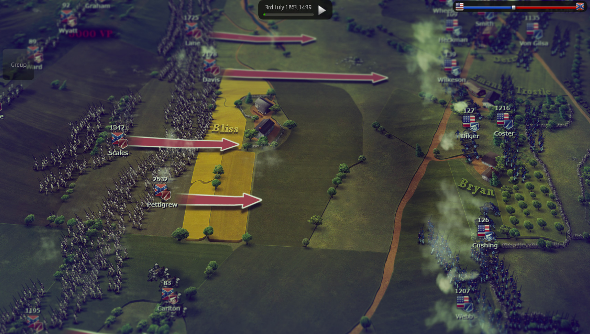 Ultimate General: Gettysburg is also on Steam. Interestingly, as the App was pulled by Apple, player counts of the PC version jumped considerably. Steam Charts tracks player data, and whilst the number of players does fluctuate over the year, you can see that in the recent months of this year the game was only seeing around 250 players at it’s peak. Hit June, the month when Apple pulled anything with Confederate flags, and the peak player count jumps to 507. Thats a +22.77% gain in player counts. Basically, if you ban a game, people are going to try and play it anyway. The numbers are likely to settle back down soon though as the controversy passes. The game has since been restored to the App Store, too.